Larimer Place is a 31 story luxury high rise in the heart of downtown Denver. 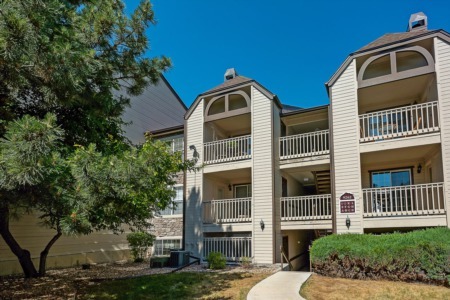 Larimer Place condominium building has 168 high end 2 and 3 bedroom residences that are close to some of Denver's premiere attractions. It is situated just 4 blocks from the Denver Center for Performing Arts and across from both Larimer Square and Writers Square. The building features lots of amenities such as 24 hour concierge service, pool, steam room, sauna, hot tub, fitness center and tennis courts. Some units boast 3 sides of windows and wrap around terraces.